Rwanda is an extremely beautiful country with great variety and beauty. 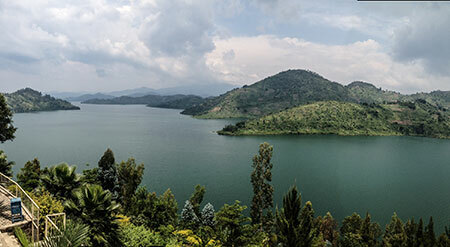 Rwanda, popularly known as “the land of a thousand hills” has many beautiful lakes and numerous rivers with astounding beaches. Rwandan beaches are excellent to spend an entire relaxing day, lazing around and enjoying with your family and friends. in the Rwandan valley is an extremely beautiful inland sea area. The three resort towns of Gisenyi, Cyangugu and Kibuye are located on the shores of Lake Kivu. Gisenyi, the most renowned and developed of the three is located on a sandy beach. This Rwandan beach is excellent and has many swaying palm trees and hotels near by. This beach has sauna bath, sun tan, swimming and beach club facilities and every year thousands of tourists visit this place. However, one needs to check out with the local residents about the sea conditions since there are dangerous eruptions of volcanic gases quite often so swimming during those times might be very risky. The Gisenyi resort is far away from the din and bustle of the town and hence is excellent for relaxing and spending idle hours in nature’s lap. As a result the Rwandan beach on Lake Kivu is a favorite with most wealthy people of Rwanda and tourists.